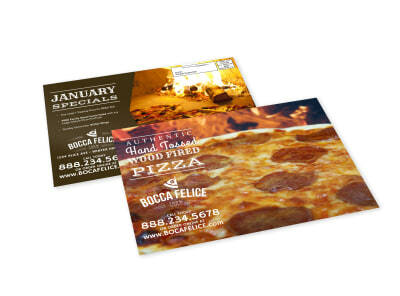 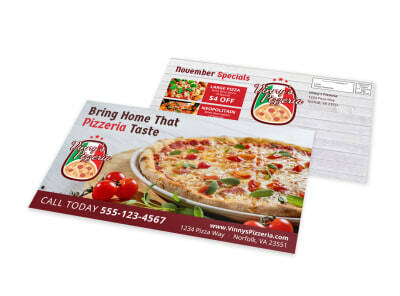 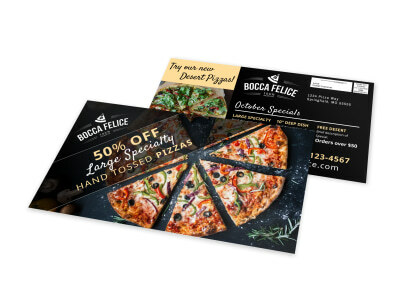 Customize our Awesome Pizza Restaurant EDDM Postcard Template and more! 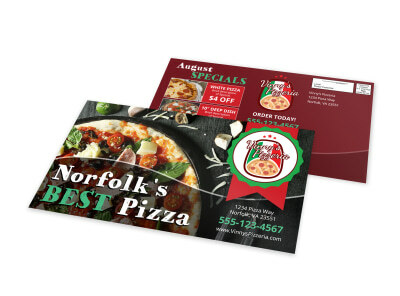 When the locals are feeling hungry, make sure they know just weird come for an authentic slice of pie with this customizable postcard for your pizza restaurant. 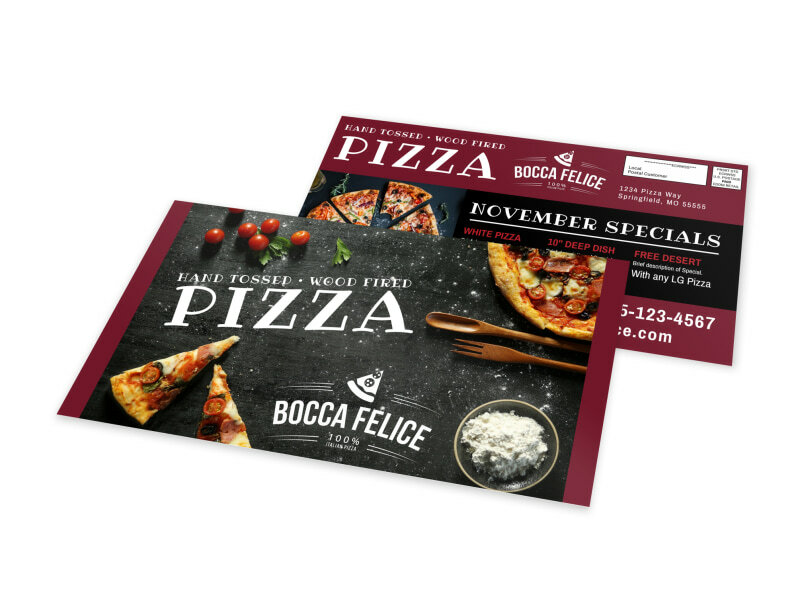 Use our interactive online editor to easily customize your design with colors, pictures, and text that will stir up appetites. 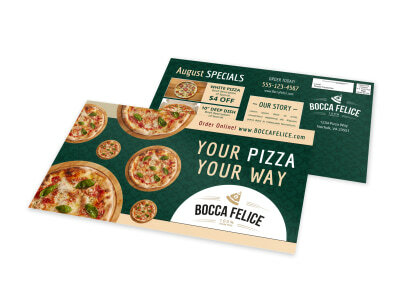 Begin your design today.